Michael Schumacher is fighting for his life after a ski accident in the French Alps. The former Formula One driver remains in critical condition in a Grenoble hospital after suffering head injuries on Sunday morning at the Meribel resort. Professor Jean-Francois Payen told the press that if the German ex-F1 driver hadn’t been wearing a protective helmet while skiing he “wouldn’t be here now.” He added “We had to operate urgently to release some pressure in his head.” Neurosurgeon Stephan Chabardes informed reporters that “diffuse haemorrhagic legions” had been found on both sides of his brain during post-operative scans but he refused to draw any conclusions on Schumacher’s condition. 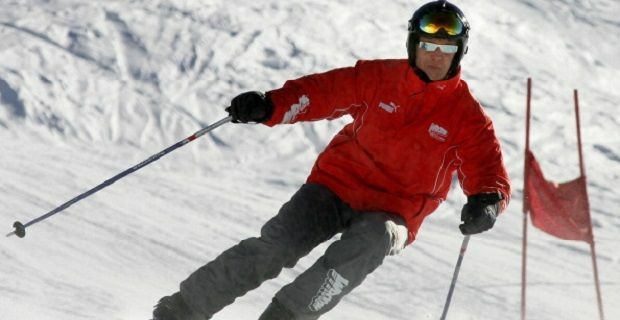 Schumacher’s injuries occurred when he fell while skiing with his family. He hit his head on a rock on a lower slope of the 'Dent de Burgin' peak. Shortly after, he was evacuated to the town of Moutiers where doctors said he arrived in an “agitated condition” and with a rapidly deteriorating neurological state. He was taken to a larger facility in Grenoble after his condition had been accessed. The main concerns for the driver’s doctors at the moment are maintaining a good blood flow and a consistent oxygen supply to the brain. Schumacher is being kept in a coma and his room is at a low temperature to help aid his recovery. The doctors are of course doing all they can for Michael Schumacher but they refused to give a prognosis to reporters at this early stage. Schumacher’s fitness and age, and the fact that they operated without delay offer some hope of a recovery.